During the reception of their gorgeous wedding at the Cummer Museum the bride and groom took some time for their pictures. Wedding photos at the Cummer Museum in Jacksonville is always a pleasure. Their garden is simply beautiful! 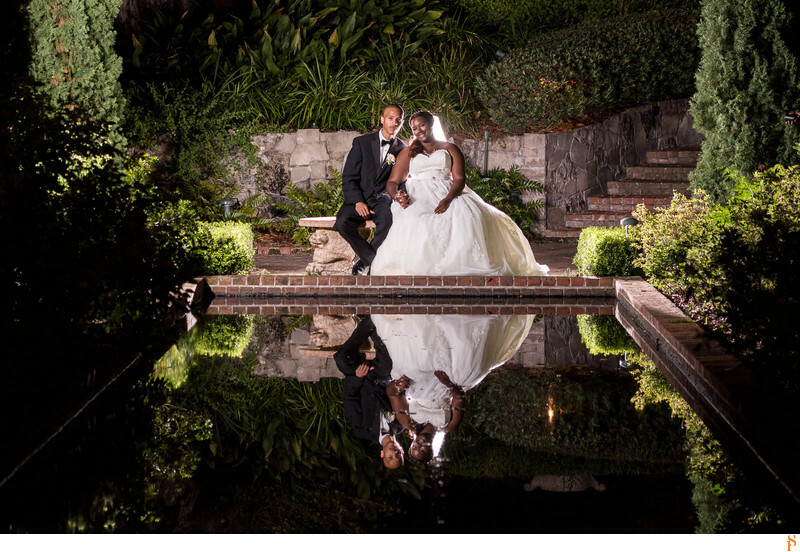 We love the reflection of the bride and groom in the pool in the garden of the Cummer Museum. It was late and it was already dark so we decided to add some lights. Location: 829 Riverside Ave, Jacksonville, FL 32204.